The aerial parts of Portolaca oleracea L. of family Portulacaceae. Light smell and slightly sour taste. Small plant, tender quality, leafiness, light green in color. Use the fresh or the dried, after being steamed or blanched in hot water. Sour, cold; large intestine and liver meridians entered. Clear heat and remove toxicity, cool blood and stop bleeding. It excels in clearing heat-toxicity from large intestine to further cool blood and check dysentery; and being acted as herb and food as well, it is a good herb for treating dysentery due to heat-toxicity. It is effective when being taken singly with its decoction, or its fresh juice mixed with honey; and also it can be cooked in porridge and taken on empty stomach, as Ma Chi Zhou from Sheng Hui Fang. 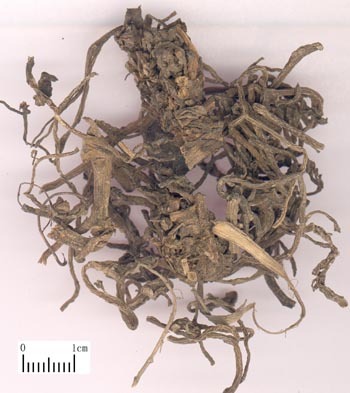 For damp-heat in large intestine manifested as abdominal pain with diarrhea, or dysentery with bloody pus, and tenesmus, it should be combined with heat-clearing, dampness-drying, and dysentery-checking herbs to enhance its effects. For example, it is combined with Huang Lian, Huang Qin and Huang Bai, etc. It has the actions of clearing heat and removing toxicity, cooling blood and relieving swelling. For sores and abscess with swelling pain due to heat-toxicity, it can be decocted singly, or its fresh products are pounded for topical administration. For difficult healing of chronic abscess: its pounded juice or decoction i.s applied topically as in Qian Jin Fang. For chronic malignant sores, it is ground and applied topically, as in Dian Nan Ben Cao (Materia Medica of Yunnan). For infantile erysipelas, it is applied topically in Guang Li Fang (Widely Benefit Prescription). For scrofula, its ashes after burning is mixed with pig ointment and then applied topically as in Jiu Ji Fang (Emergency Prescription). For paronychia, the formula of Ma Chi San Fu Fang from Sheng Ji Zong Lu is used. 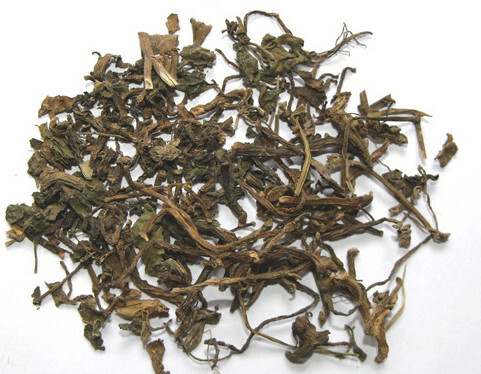 It can also be combined with herbs specialized in clearing heat and curing abscess such as Jin Yin Hua, Lian Qiao, Zi Hua Di Ding and Pu Gong Ying, etc. It can both cool blood and stop bleeding, and is suitable for treating bleeding due to blood heat manifested as metrorrhagia and metrostaxis, hematochezia, haemorrhoids with blood and hematuria, etc. It can be used alone or combined with other blood-cooling hemostatic herbs. Decoct 15~30g, or 60～150g of the fresh product. A proper dosage of the pounded product is for topical administration.